Ten years ago Timberland, the outdoor company that’s been outfitting everyone from hikers to construction workers to hip hop artists for decades, brought eco-consciousness to the footwear industry by introducing its Earthkeepers line. 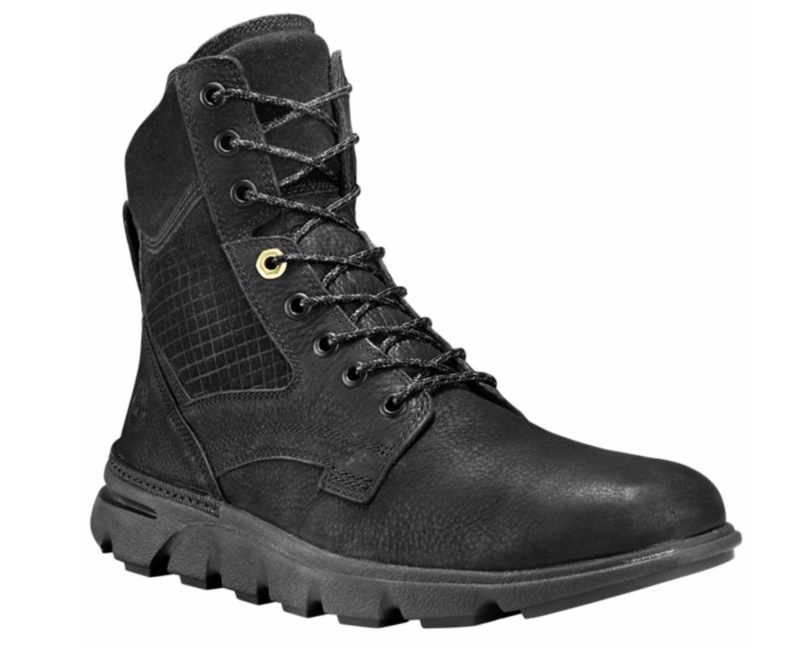 Now, the company’s taking that same commitment to sustainability and dressing it up in a sleeker streetwise boot that’s still rugged enough for the actual outdoors. The Eagle Bay ($160), a seasonal exclusive, is officially dropping today. So here’s the rundown on the sustainability part: The boots’ leather uppers are made with leather (at least 50 percent, anyway) that’s sourced from tanneries that are third-party certified as environmentally responsible. The plastic lining and rubber outsoles are made using partially recycled materials. Here’s the story on how they look and feel: They’re lightweight and feature the company’s proprietary design including a flexible three-layer outsole they call SensorFlex, essentially a springy foam insole that resists water and has antimicrobial properties so they won’t stink; and the outside is treated to repel water, oil, stains, and scuffs. Crossover is the name of the game today and these boots achieve the balance between outdoor and street-style with a streamlined, sporty look and three colorways: light brown, dark brown, and black (below), all in nubuck. We especially love the dark brown (above), with its nice contrast between the rich leather upper and white rubber outsole. A mixed-materials version will be out in September for $180. The Eagle Bay will be available for a limited time in Timberland specialty stores, select department and specialty stores and online. Between July 21 and August 6, you can pick them up for $106 at Nordstrom.com during their annual Anniversary sale. For more than 25 years, Men’s Journal has been the expert in all things gear — from mountain bikes to fitness trackers, blenders to watches, and drones to cars. We take pride in a rigorous review process that includes testing and torturing. While our standards remain high as ever, our site now includes affiliate links, which means that if you buy something using these links, we may receive a commission.